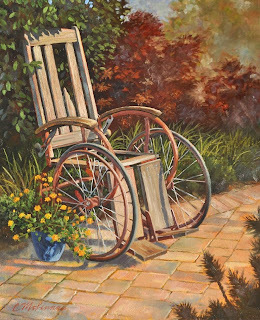 On Monday I went back to the nursery to get another quick shot of something I had planned to paint, guiltily lingered a bit, noticed this chair, and couldn't pass up such a great subject. Which goes to show that allowing ourselves "artist's dates" and time to wander really is necessary and productive. Connie, this is beautifully singled out by you on your artist date, and beautifully painted. 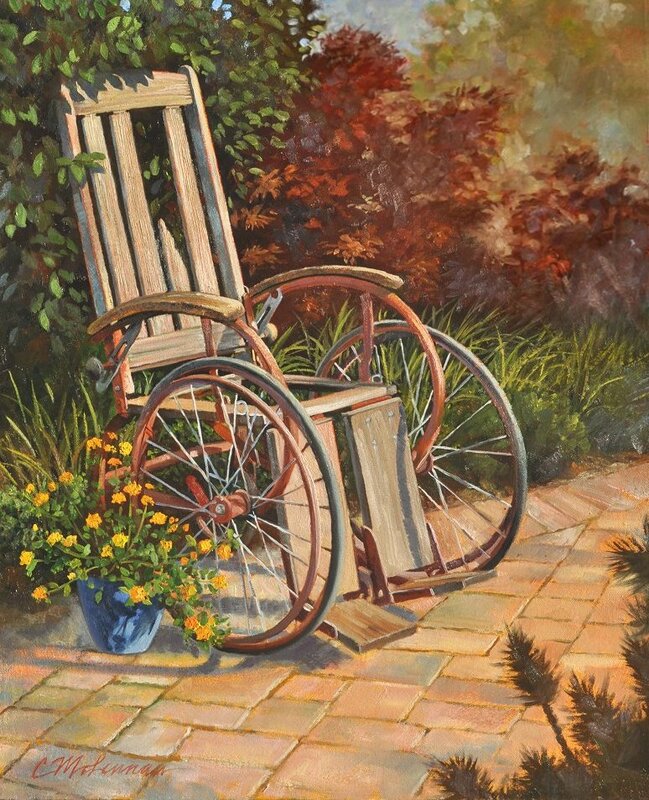 The poignant title reminds me of my Dad, (who had an electric wheelchair, and used to love whizzing through the halls at his retirement village and making me race after him, lol!). Thank you, Mona; nice to hear from you. The title--I know.